If you’re doing the most popular lower back stretches for pain relief, then after reading this article you’ll understand why this is causing more harm than good, even though it feels good. This unique exercise is going to help you improve ankle mobility around all the ranges of motion to improve balance and the ability to cut directions quickly. How to Stretch Adductors… Without “Stretching”! If you’ve got tight hip flexors, the most common advice is to stretch. But this won’t give you lasting results. 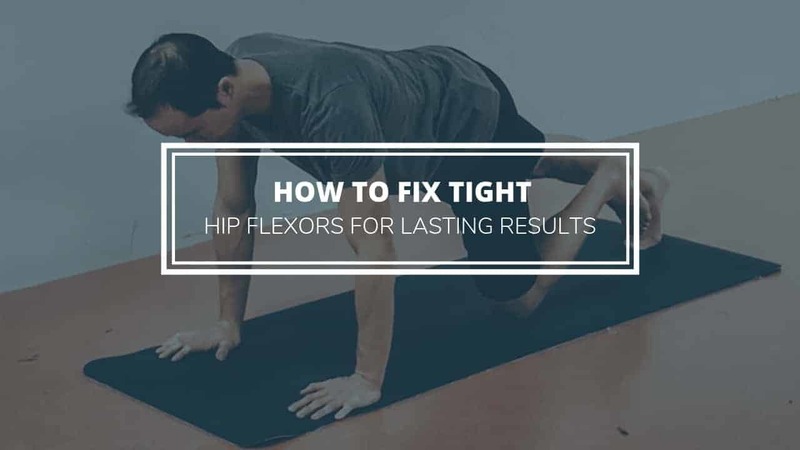 Find out what really works and why to release your tight hip flexors for good. Ankle dorsiflexion is your ability to close the angle in the front of your ankle, by either bringing your toes toward your knee (open kinetic chain) or driving your knee forward with foot flat on the ground (closed kinetic chain). Recently I’ve discovered the impact of driving on the hip and lower limb that you use to hit the gas and brakes. Here’s what I found in this article. This is a drill that I introduce in Phase 3 of Shoulder Control as a part of Step 4 of the Precision Movement 4-Step Process: Functional Integration*. Determine if you’ve got actual meniscus tear symptoms with these simple tests and if you do, exercises you must do that you won’t find elsewhere to help you heal.